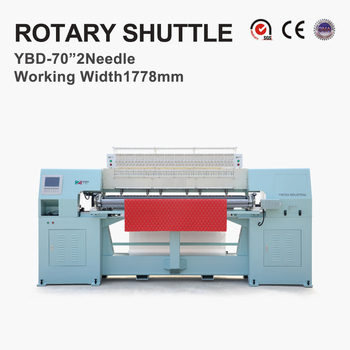 .The machine adopted large rotary hook that can make neat stitches and with lower noise, and effectively reduced defects such as miss stitches, loose stitches, coarse stitches, etc. 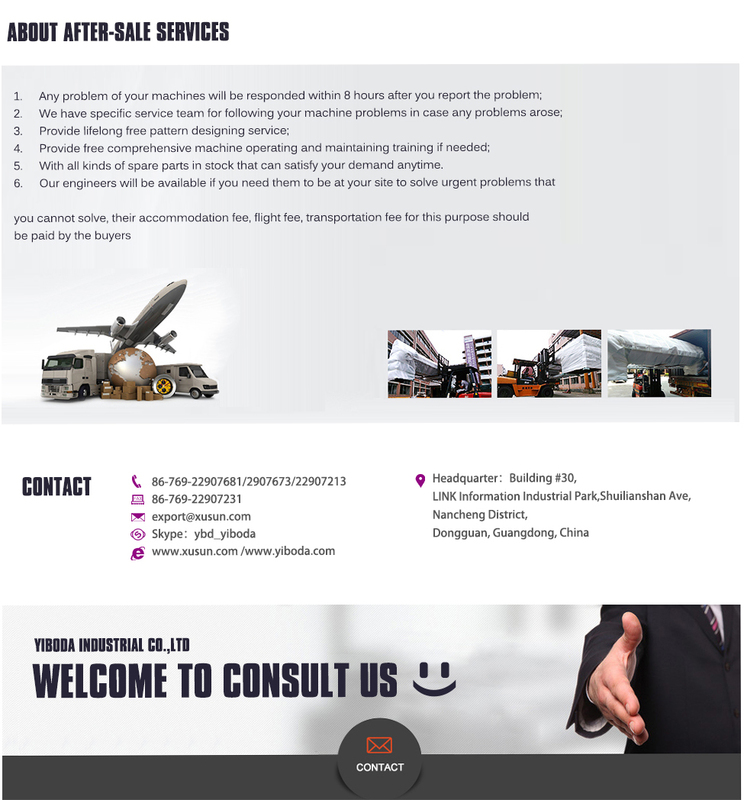 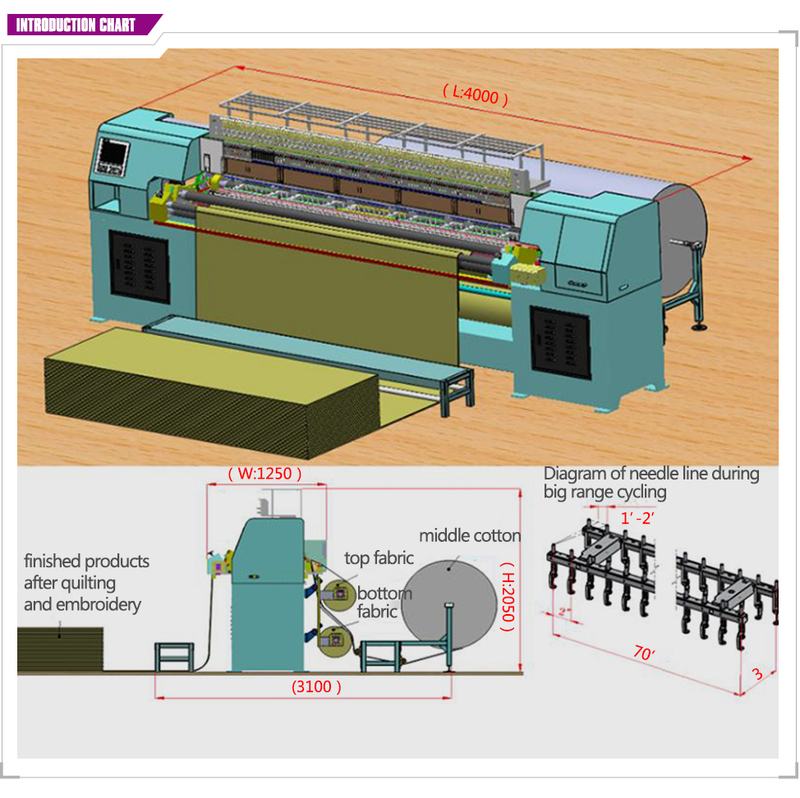 .Stitches between 1mm-12.7mm adjustable, Sewing Speed: 600-700/R.P.M. 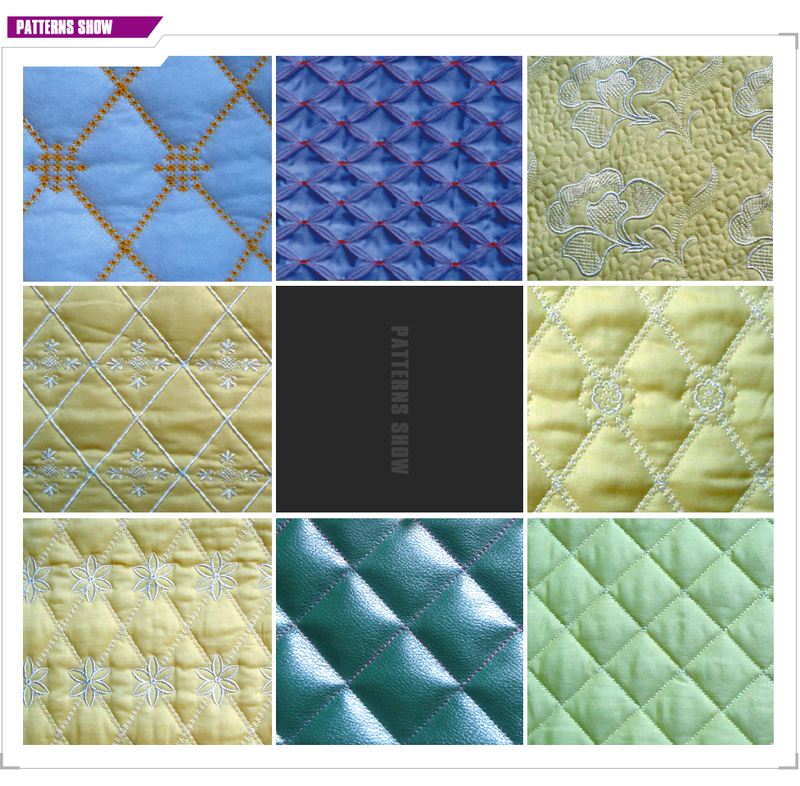 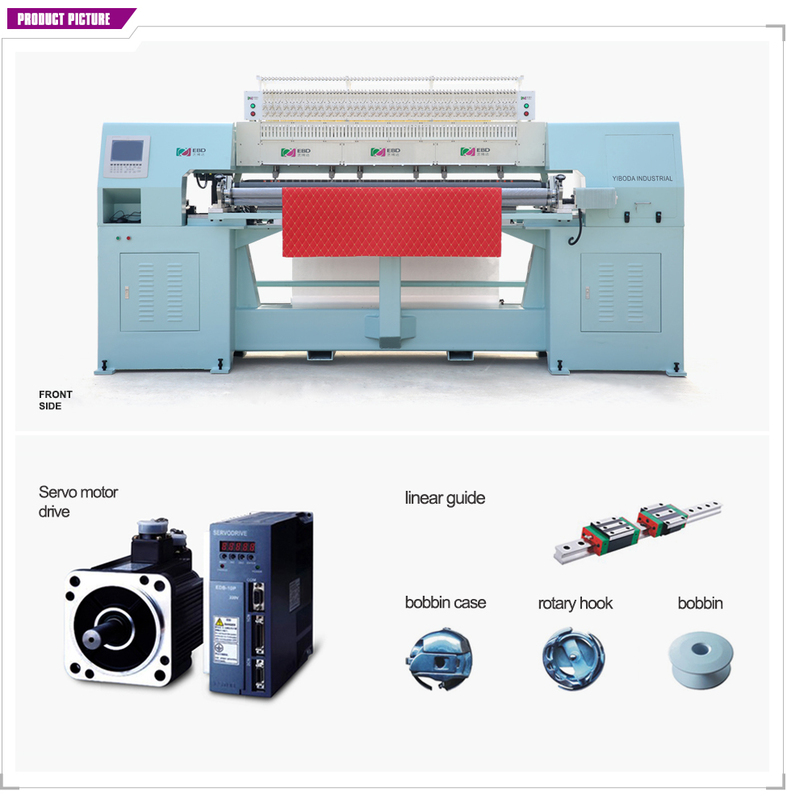 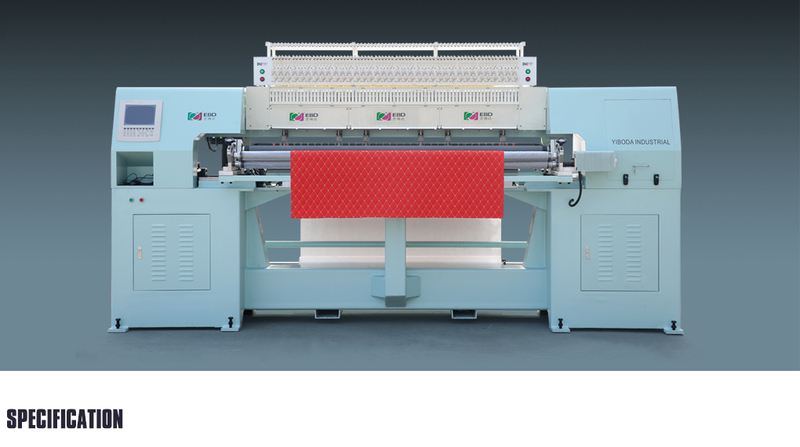 .Safe operation display of quilting and embroidery; Automatic needle run-up and orientantion brake system.